Editor’s Note: View Newspaper Group is proud to be a Media Platinum Sponsor of Back to the Bricks and the official publisher of the Back to the Bricks event guide which can be found in today’s paper. Check out the Event Guide for a full schedule and much, much more. 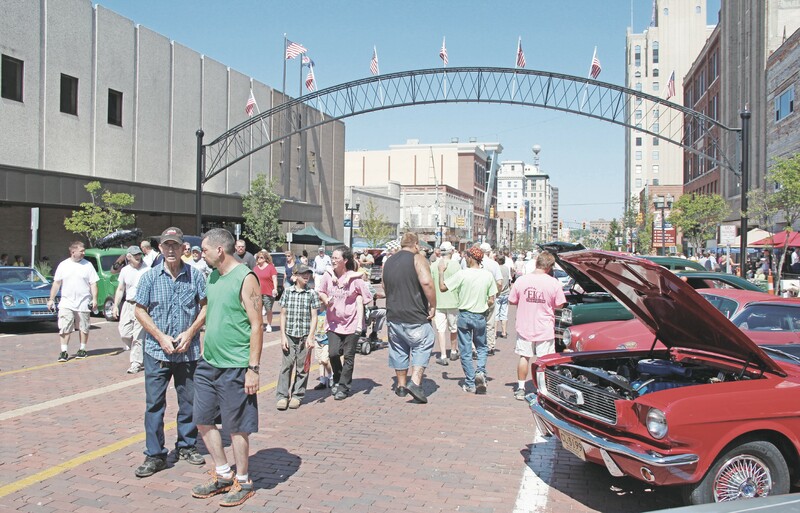 FLINT — More than 14 years ago, Al Hatch began what would become a monumental annual experience for hundreds of thousands of people, a car show that would invite classic cars and hot rods to the wellknown bricks of Saginaw Street in downtown Flint. That event, Back to the Bricks, has become a phenomenon, growing to become much more than simply a car show. That event, and Hatch’s dream, continue on, and will be underway once again next week in downtown Flint. Kicking off this year’s 14th Annual Back to the Bricks was the annual Promo Tour, which kicked off on June 9 of this year, began in Flint and snaked its way around the lower peninsula, ending in Fenton six days later. The Promo Tour attracted more than 200 vehicles and 400 participants for the nearly 600-mile drive. The event, featured an excursion from Flint to Clare, and continued on throughout Michigan. Now that the main event is revving up, a number of events and activities to help kick things off have officially begun, which started Monday evening with the first of the annual Tune Up Parties. The nightly events take place on successive days from August 7-12 in Davison, Clio, Linden, Fenton, Flushing/Swartz Creek, and Mt. Morris/Beecher. The free parties consist of car shows, concessions, live music, dancing, giveaways and more. Along with other scheduled events, including a Cruise ‘N’ Movie, a free concert, a swap meet and a used car corral, Hatch says that there will be a litany of events taking place on Water Street, just two blocks west of the downtown bricks. The recently restored Factory One facility, will be open for tours and boast a display of the Buicks brought in by the Buick Club of America. Hatch says the impressive facility is definitely worth checking out.